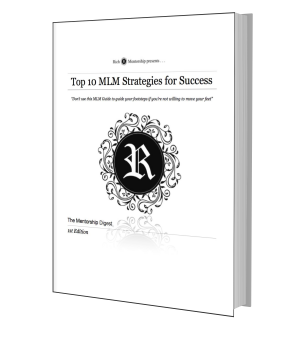 The MLM Guide Blog is a "one stop shop" for people involved in MLM (Network Marketing). It . . .
Pre Qualified MLM Leads are in high demand by many network marketers in the industry. More than 90% of network marketers are on the hunt for leads. It would be even better if these leads were pre-qualified MLM leads. Create a lead generation system for you MLM. Continue reading "Pre Qualified MLM Leads: How to Generate Them"
When you recognize what a pre qualified mlm leads are, you can carefully groom the right leads into prospects and increase your sales rate. Many MLM representatives spend too much time with leads that are unqualified. Continue reading "Pre Qualified MLM Leads vs Unqualified MLM Leads"
Continue reading "MLM Lead vs Prospect: Knowing the Difference Can Impact Your Downline"
A Network Marketing Lead is someone who may have demonstrated a certain level of interest in your product or service. Keep in mind, they are not ready to buy or commit to anything yet. They are just interested in your information. That is what makes them a lead. Continue reading "A Network Marketing Lead: What it REALLY is "
Many wonder WHY MLM representatives combine the internet and network marketing.Your MLM company tells you that you can get paid when you’re sleeping. Having an online presence allows the internet to work for you while you’re sleeping. Continue reading "Internet and Network Marketing: Why MLM Reps Combine The Two"